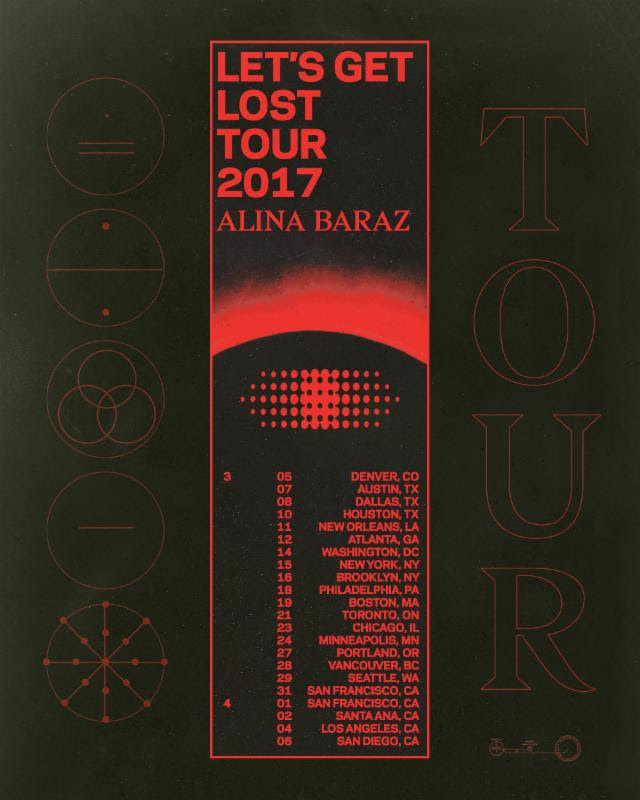 The electronica artist, Alina Baraz, has announced a North American tour, called the "Let's Get Lost Tour 2017," for March and April. The electronica artist, Alina Baraz, has announced a North American tour, called the “Let’s Get Lost Tour 2017,” for March and April. You can check out the dates, details and poster, after the break.